The world is moving forward with a digital revolution that continues to thrive on innovation. You’ll find new devices coming out at every cycle of the year, and you will find that there are a lot of different solutions to problems that are brand new, and it will never really stop. With so much going the way of the future, it’s interesting to see certain things not evolving, and for good reason too. 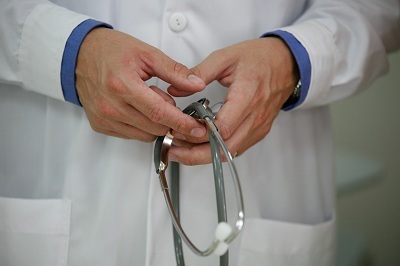 For instance, you will find that the traditional stethoscope is still one of the most widely used medical devices in the world of medicine even though there are digital solutions available. Exploring the reasons for this sheds light on a larger issue, and one that is definitely worth discussing. Stethoscopes can take a beating. They are used to help patients get diagnosed, and they can be cycled through a lot of different hands, they can be dropped, stepped on, sat on and a lot of other problems that may arise as a result. The breaking point for a digital solution, and definitely illustrated by how many smartphones have cracked screens today, is the fact that electronic options can end up breaking and when they break, they fail to work. Even if all signs are good, and cosmetically it’s sound, you’ll find that the interior mechanism could end up being disrupted, and that means it won’t work. When these items fail to work, the patient suffers. No matter how you slice it, medical professionals don’t change things out too easily. Especially when existing technology works quite well. Take a look at a different industry to further understand this point. When the crossover from video cassette tapes started, many jumped towards DVD and now, you will not find anyone really using VHS tapes. However, the transition from DVD to blu-ray has slowed down in an incredible way. This may seem like something that has no real connection to the medical world, but if you break it down for a moment, you will realize that blu-ray and DVD are similar mediums and they both work for the intended purpose. Making a lateral move doesn’t necessarily change things like the jump from vhs to DVD did. The same thing is going on with the digital stethoscope versus traditional items. There is a failure ratio with digital items, and they often times are not trusted by doctors that trust their handy traditional tools. This is not to say that innovation doesn’t come to the medical world, but when it comes something as simple as a stethoscope, it’s not going to changeover so easily. Much like needles are still used for drawing blood, and dialysis machines still take hours on end to fully work for a person that has diabetes, innovation sometimes slows when moving forward. It is not going to be this way forever, but at the moment, the transition to digital stethoscope solutions is not something that will happen without more time and experience with the items. Perhaps the next generation of doctors will embrace them, but current signs point to a slow adoption method. Steven Larson is the chief editor of Best Reviews Advisor and has published an excellent top of the best stethoscopes on the market that you should check out.